The Wine in Moderation programme values and principles guide its governance. 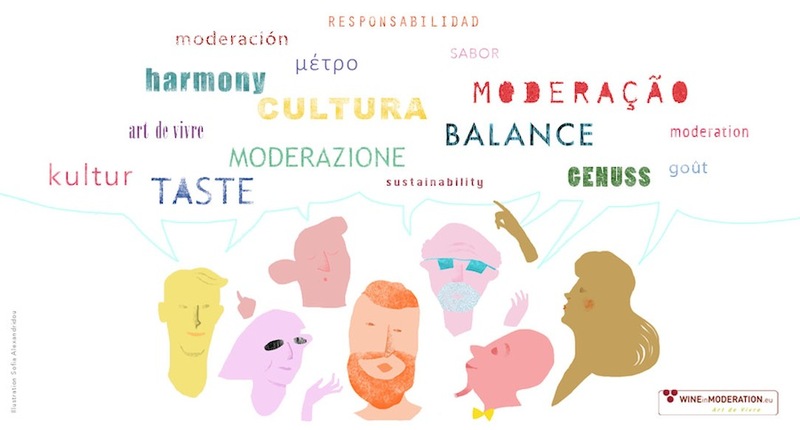 Wine in Moderation is a common programme centrally coordinated and nationally implemented, with the capacity to adapt to local needs while respecting cultural diversity. The international coordination is provided by a not-for-profit international association, the WiM Association. In each country, there are one or more WiM national coordinators that support the planning, coordination, implementation and accountability of the programme in their respective countries. Together with the WiM supporters, that join the programme at national level, they actively support a wine culture that inspires well-being and healthy lifestyles and contributes in the prevention and reduction of alcohol related harm. Leading wine companies further support the efforts made at international and national level setting the example with their leadership in social responsibility and high contributions. These leading companies are the Wine in Moderation Ambassadors. We, at the Greek Wine Experience share the same values and support the WIM cause, being one of the Ambassadors. Key actors of the international wine value chain and representative international bodies of various stakeholders can participate as Associated Partners and even join WiM Association as Observers. They adhere to the values and principles of the programme and they actively support its implementation and motivate cooperation and action at national and local level. Find out more about the programme at the WIM webpage.